There’s quite a party in the urban gondola capital of the world tonight as Mi Teleférico (My Cable Car) opens the Bolivian capital’s fifth urban gondola line. The Línea Naranja (Orange Line) carried its first public passengers just after 6:00 pm and will serve some 30,000 La Paz commuters daily. 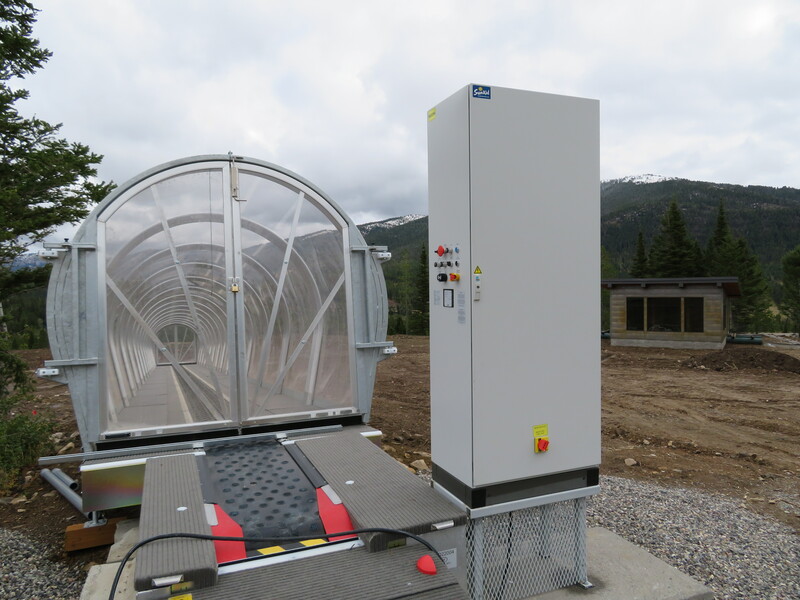 Joining the Red, Yellow, Green and Blue lines already in service, the new 10-passenger Doppelmayr system features the world’s first underground gondola station and amenities such as free Wi-Fi, video monitoring and cabin lighting. As La Paz builds out its eleven-line subway in the sky, the Orange Line forms an impressive continuous gondola route 6.1 miles long with the Blue and Red lines. 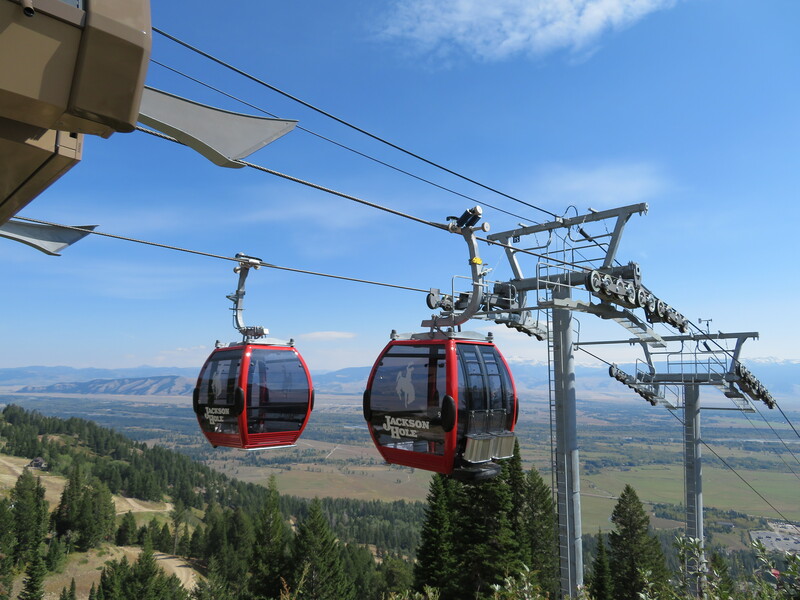 Like its predecessors, the newest line is technically two gondolas with four stations, a combined 26 towers and 127 cabins representing a $66 million investment. One way ride time is 9.5 minutes with a capacity of 3,000 passengers per hour, per direction. The project uses a mix of UNI-G and tunnel-style terminals built into modern station buildings. Located near Bozeman, Montana, Bridger Bowl is a nonprofit day-use ski area that has seen major growth and investment recently. This year’s projects cater to beginner skiers and snowboarders. 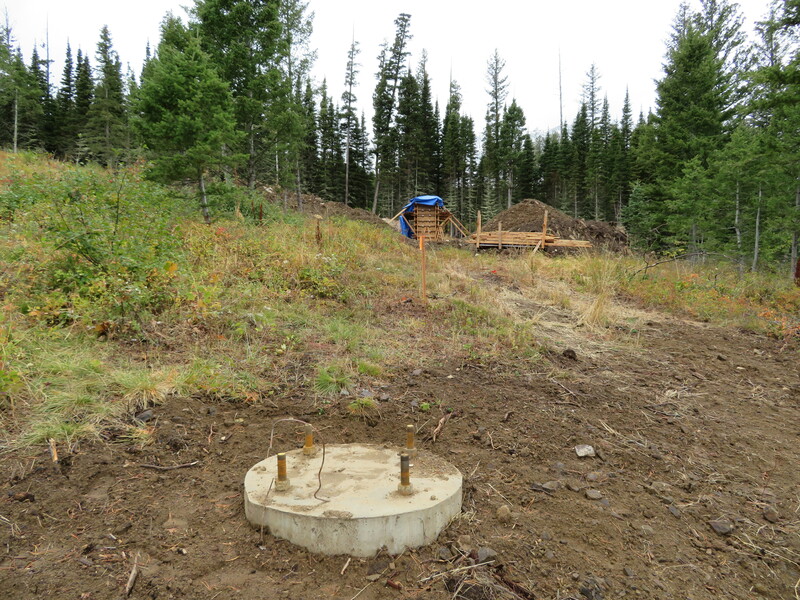 Bridger Bowl is creating a first-rate learning center this fall, with four new lifts under construction to serve exclusively green terrain. Following years of attendance records and upper mountain expansion, the move is similar to what Beaver Creek, Jackson Hole, Taos and the Yellowstone Club did recently combining short gondolas, new chairlifts and/or covered carpets to create dedicated teaching hubs away from facilities for other guests. 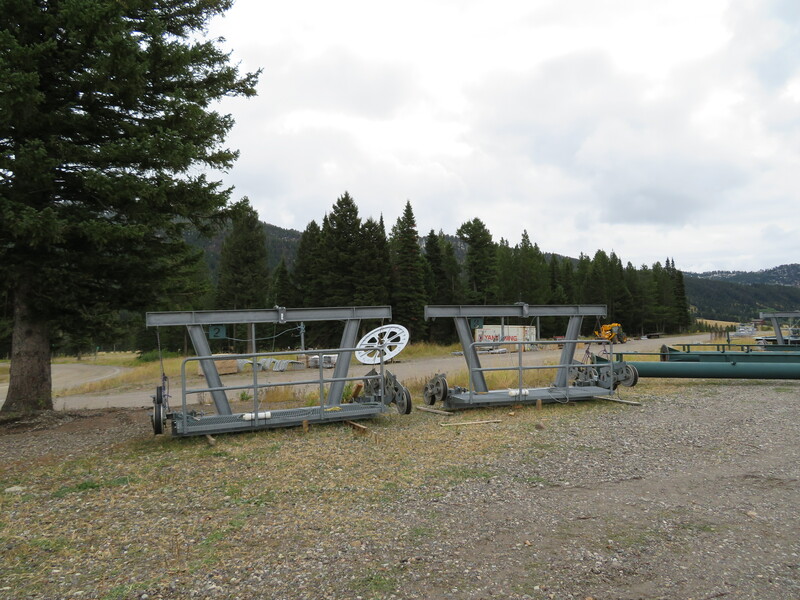 At Bridger, the Snowflake lift is being moved away from conflicting skier traffic to a completely new area, the Virginia City double replaced with a Skytrac triple chair with loading carpet and two new SunKid conveyors added. 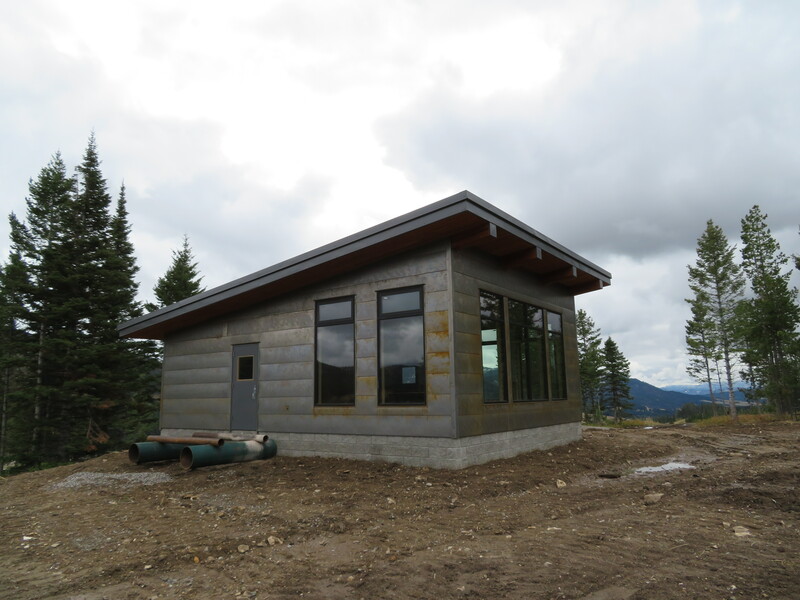 An addition to the Saddle Peak Lodge and new Snowflake Hut cap this major investment by the Bridger Bowl Association, the mountain’s nonprofit owner for the past 63 years. Impressively, the entire expansion is being paid for with cash reserves. 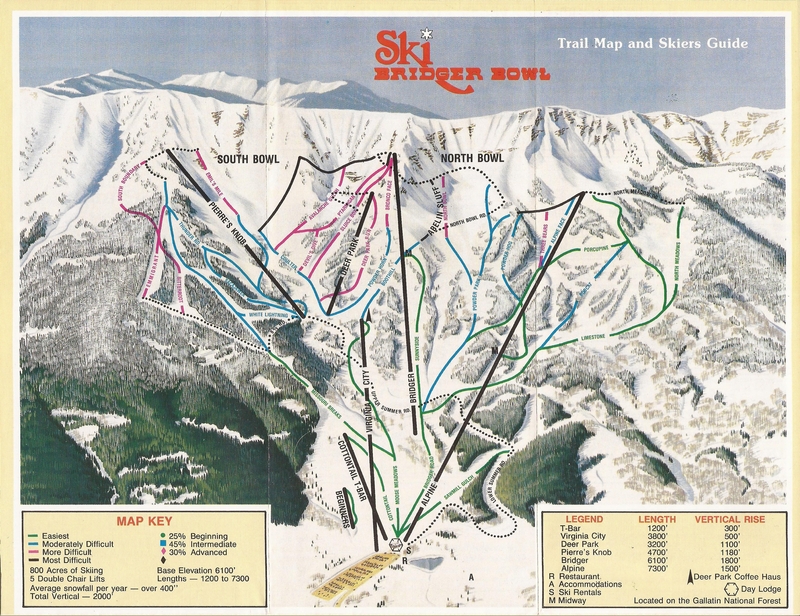 2017-18 Bridger Bowl trail map showing the new lift layout. Bridger Bowl’s redevelopment over the last two decades is a model for nonprofit community ski areas everywhere. At the turn of the millennium, the mountain ran one modern quad chair and five Riblet doubles built between 1964 and 1978. 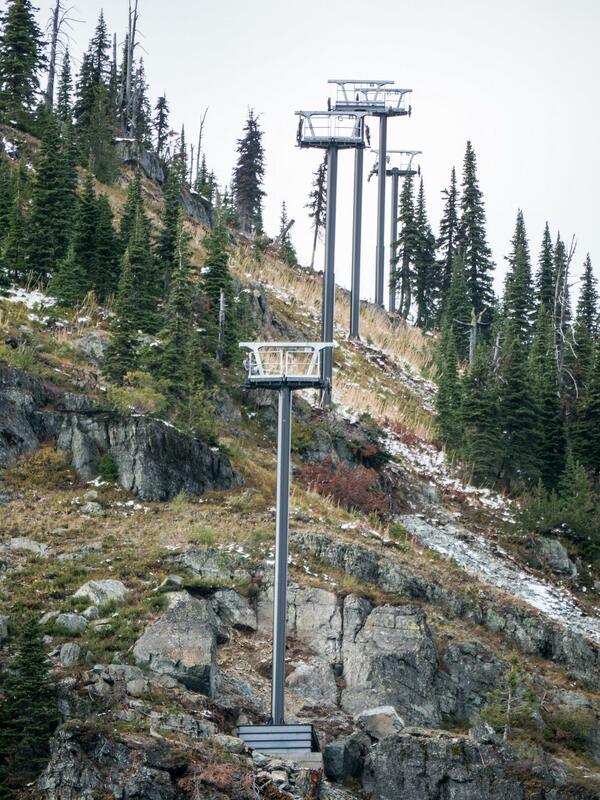 Every lift was subsequently replaced with new fixed grip triples and quads with loading carpets from Garaventa CTEC, Doppelmayr CTEC and now Skytrac. 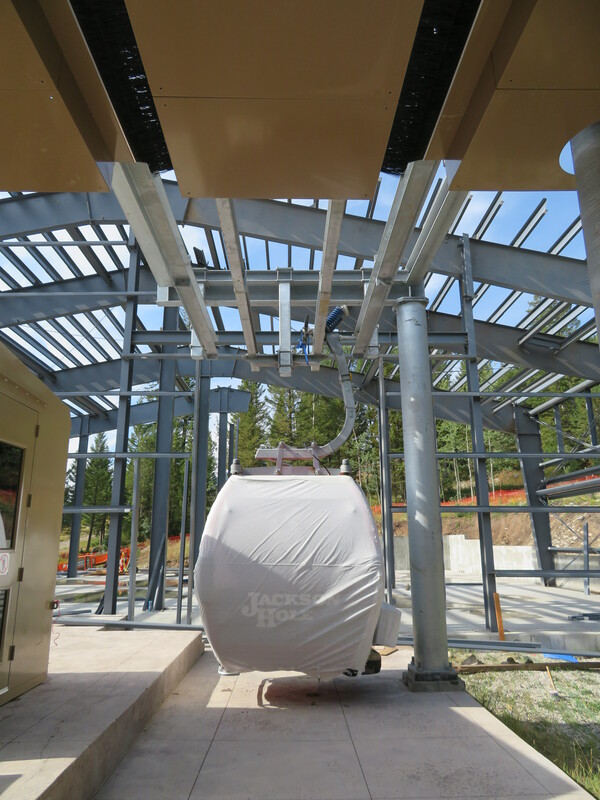 With six Chairkit systems, Bridger Bowl is the largest operator of loading carpets in North America. 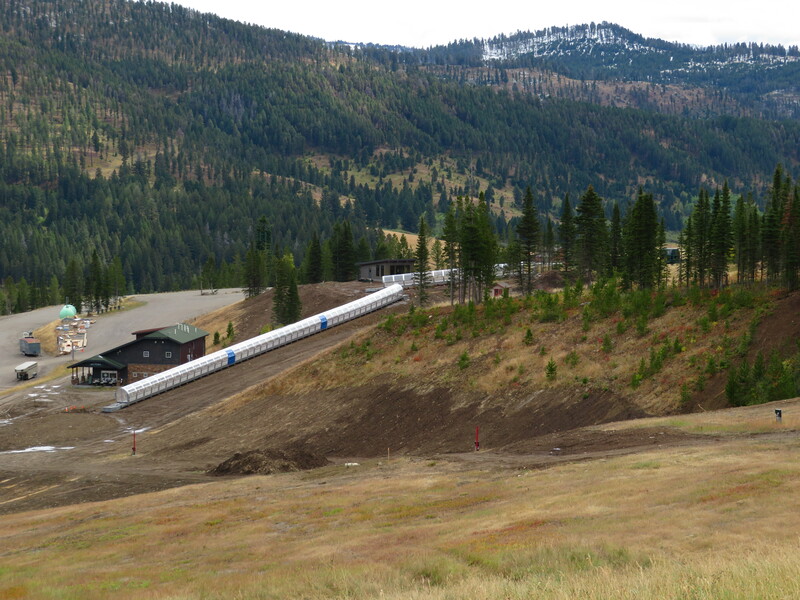 “The conveyors are very effective in reducing mis-loads and allow the lifts to be operated closer to full speeds,” Four Mountain Advisors noted in the mountain’s master plan. 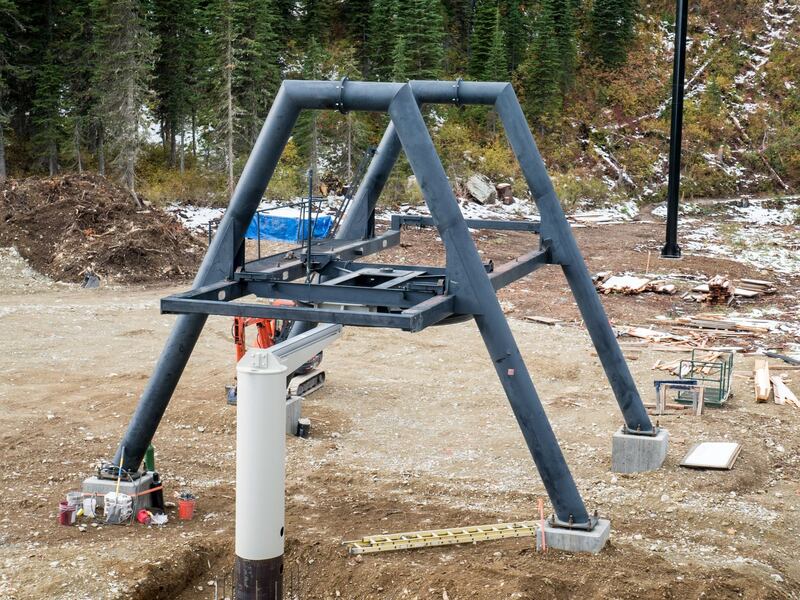 “This helps maintain lift capacity without the added costs of a high-speed lift.” While at one point Bridger operated two mile-long doubles, the new strategy relies on a larger number of shorter, well-placed fixed-grip triples and quads. 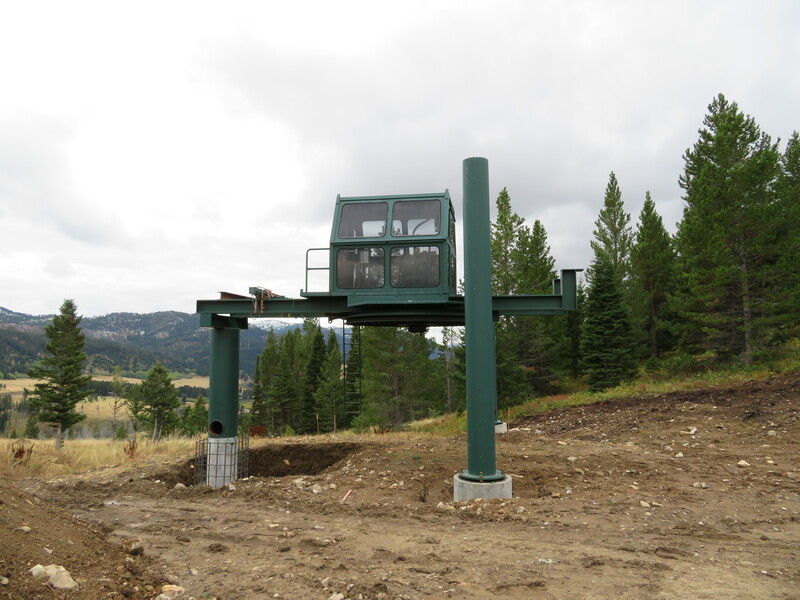 Virginia City and Snowflake are the fifth and sixth modern lift replacements in new alignments. 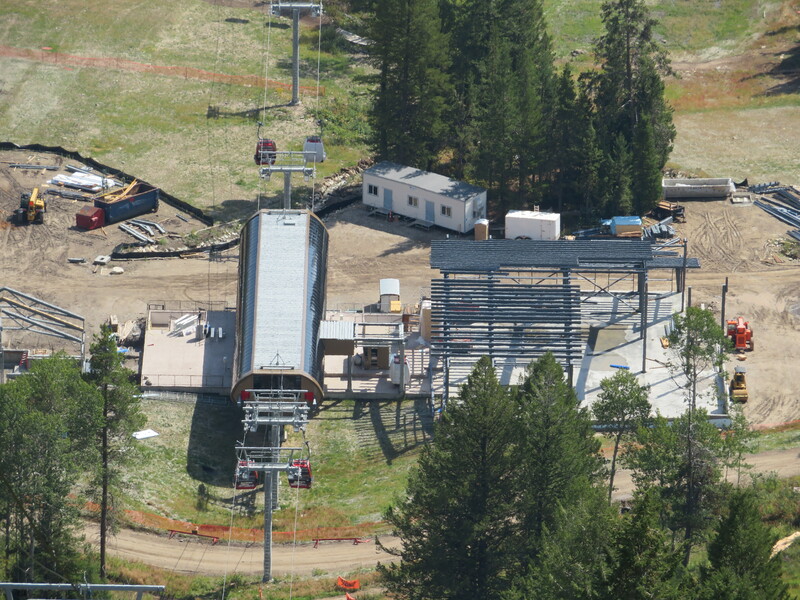 The Stagecoach lift stands partially completed with Lone Peak looming in June 2016. 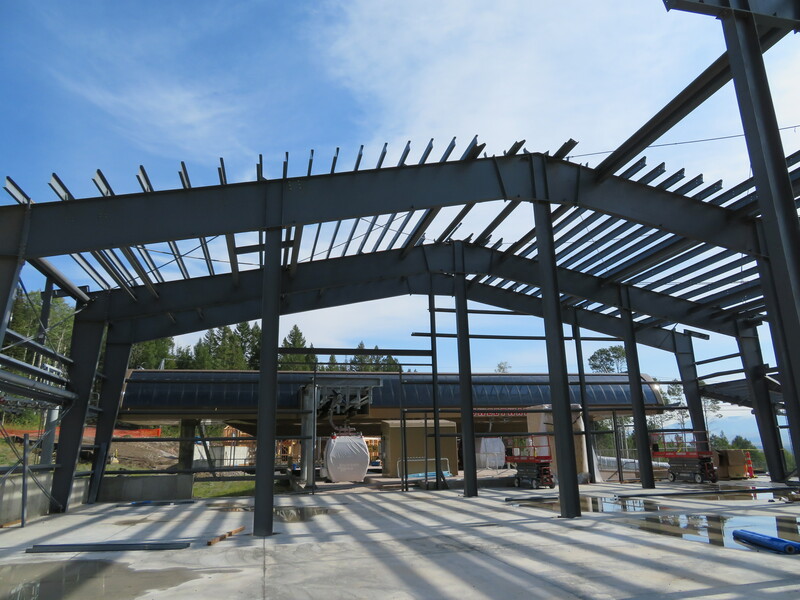 After two owners, two bankruptcies, two names, two installers and almost a decade, it will open this winter at Moonlight Basin. 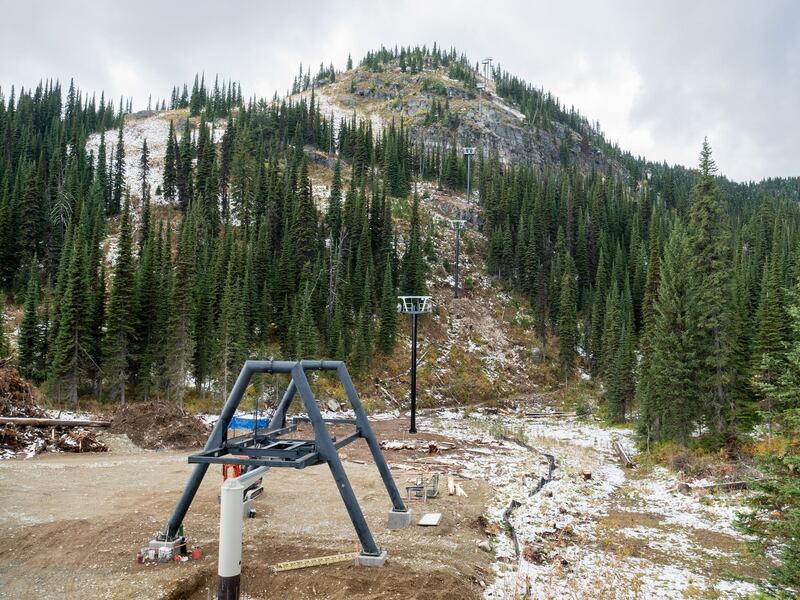 We’ve heard little about the two lift projects surrounding Lone Peak this summer, even though they will bring North America’s largest contiguous ski complex to a record 43 lifts before counting carpets. 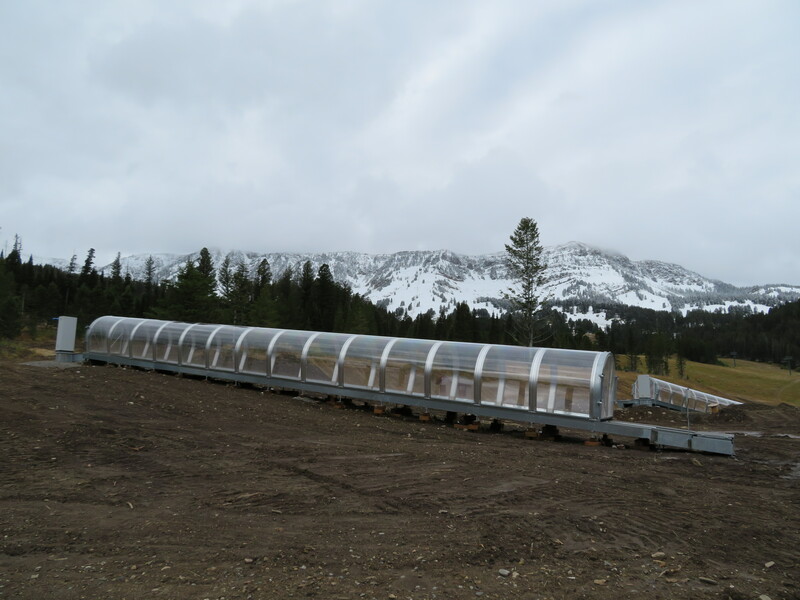 As I covered before, the biggest development is at the Yellowstone Club, where a new Doppelmayr gondola, high-speed quad and triple chair will create one of the largest beginner skiing facilities in America, though few will be lucky enough to learn to ski there. 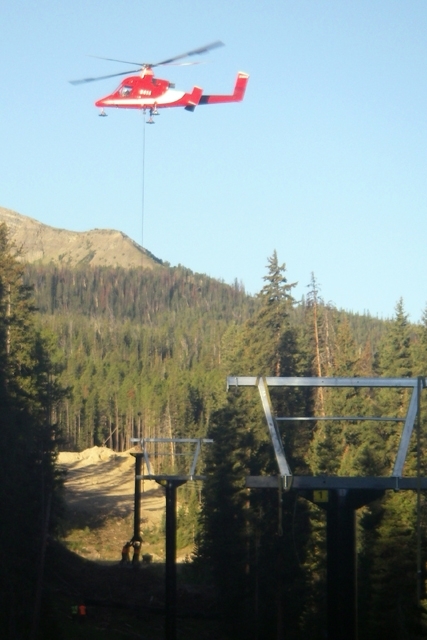 Most of the towers for Big Sky’s Stagecoach lift flew October 10, 2008. Skytrac recently installed the rest and a lot happened in between. 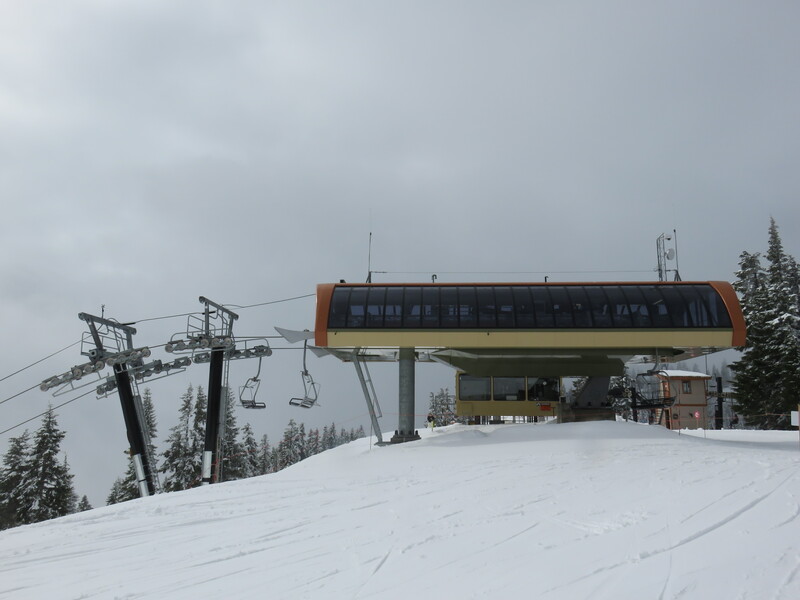 Over at Big Sky Resort, anyone with a ticket to the Biggest Skiing in America will be able to ride the new Stagecoach double chair this winter. 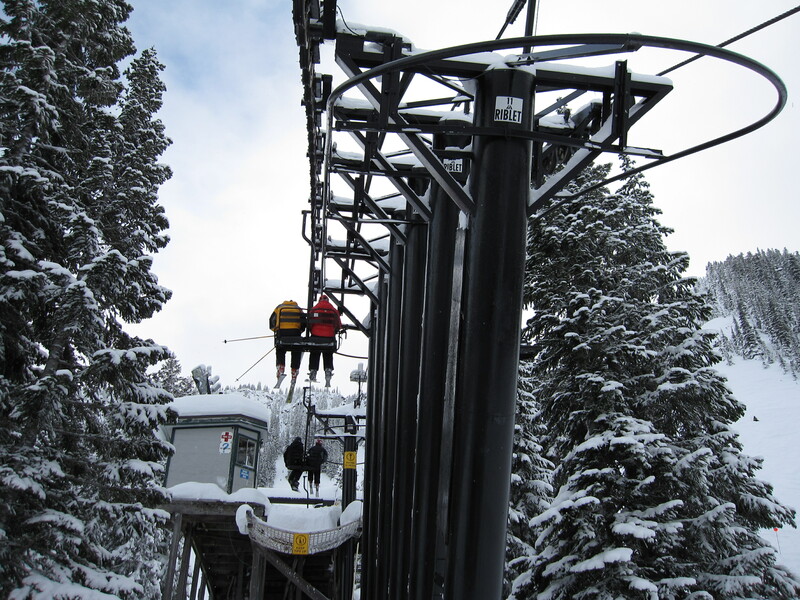 Stagecoach extends the long tradition of so-called lodging access lifts here, begun with Pony Express in 1995 and followed by White Otter, Cascade, arguably all five of the Spanish Peaks lifts, and most recently Little Thunder. Amazingly, almost half of the 43 lifts on Lone Peak and the surrounding mountains exist to create ski-in, ski-out real estate. At Big Sky Resort, most of these machines are seconds from other Boyne mountains and they have their own color on the trail map: purple. Can you find it? 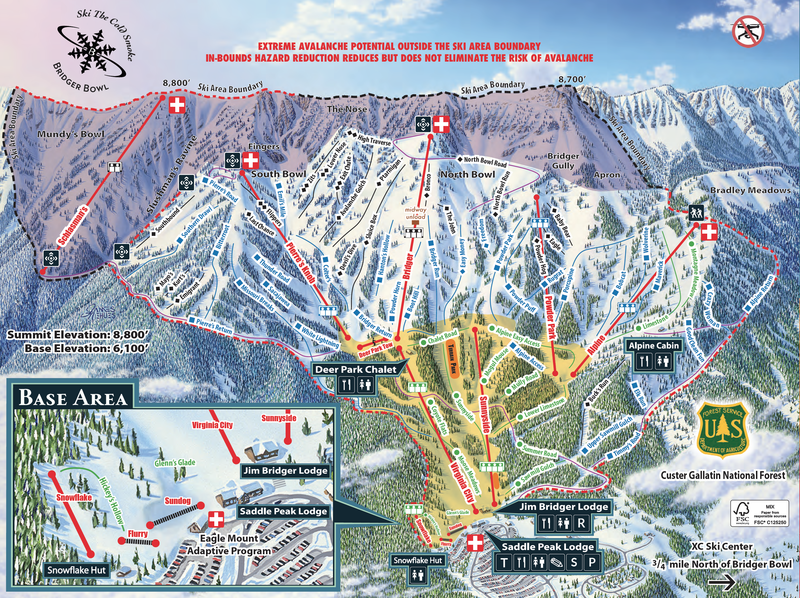 The approximate location of the new Stagecoach lift on the expansive Big Sky trail map is marked in red. 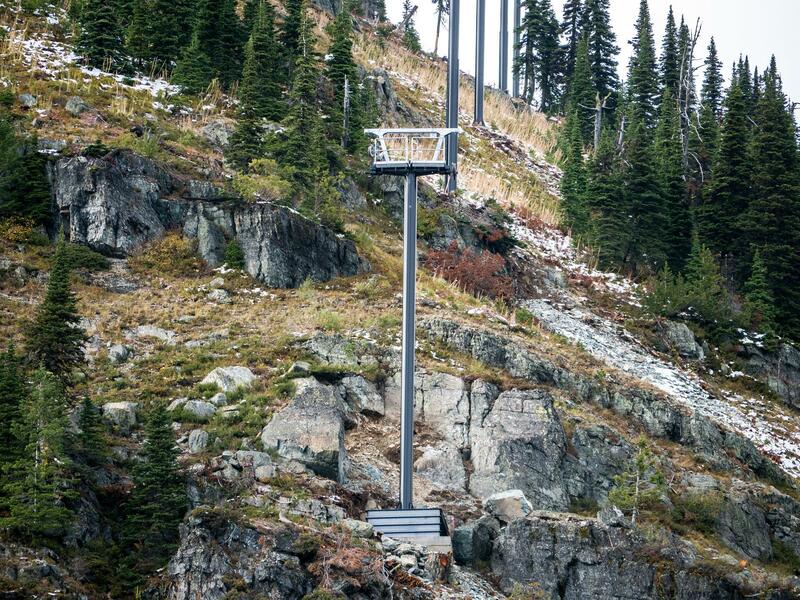 In the five years prior to the real estate bubble bursting nationwide in 2008, a crazy 18 lifts were built in Big Sky at four separate ski operations. 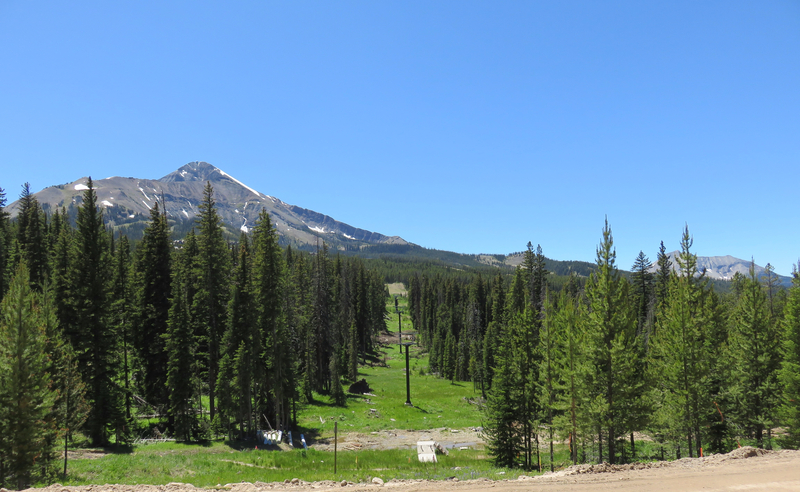 One of those, Moonlight Basin, opened in December 2003 as Lone Peak’s second public ski resort. 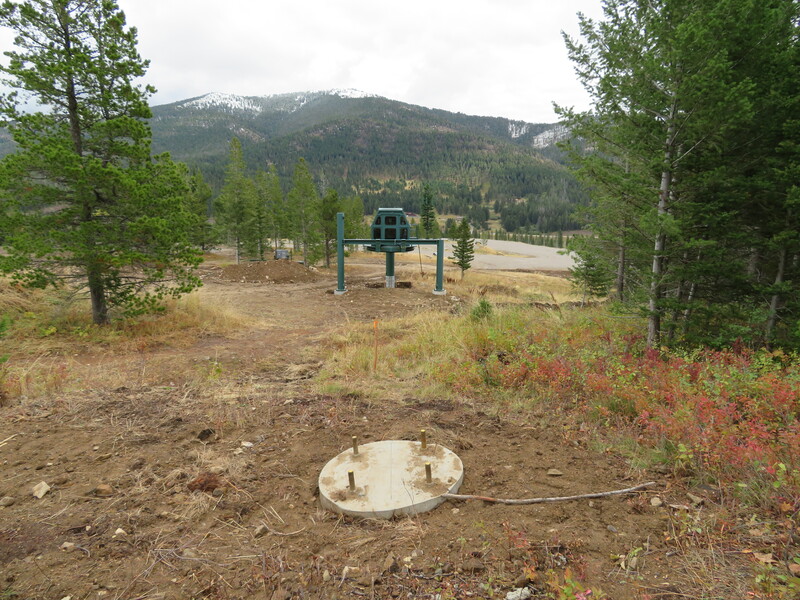 The development’s first two lifts had simply connected to neighboring Big Sky Resort in 1994 and 1995. Between 2003 and 2006, founder Lee Poole and his partners went it alone, adding four more lifts including Montana’s first six-pack. Three of these were among the last CTECs off the line following the Doppelmayr merger. Great capture by @everettjp11! Now the clouds have rolled through and the sun's back out just in time to enjoy a beautiful evening in Breck. 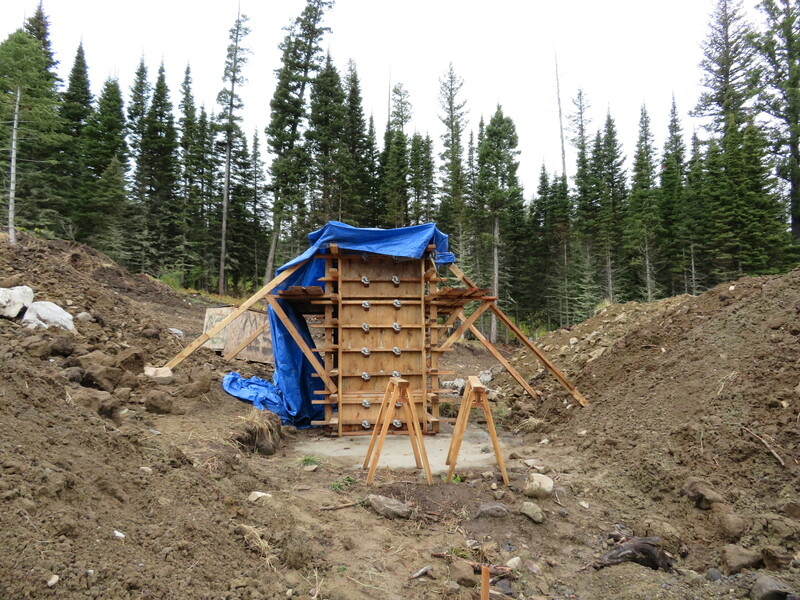 Concrete pouring for one of the terminals of Montezuma lift. Mountain Operation Team's job just keeps getting harder. 😂 Keep your eyes open for the next installment of the Making Montezuma series soon!